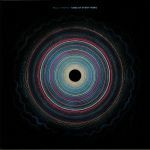 Review: Noise Manifesto is a new creative endeavour from techno producer Paula Temple, less a label and more a "platform for electronic music artists that do not follow the distorted norms". The first release brings together the collective talents of rRoxymore, The Knife's Oni Ayhun, Planningtorock (as Aquarian Jugs) and Paula Temple as Jaguar Woman for Decon Recon #1, a four track 12" that smudges away traditional notions of artistic authorship. Instead of explicitly stating who did what on Decon Recon, the music is presented as a collective with no signifier, leaving you to enjoy the sounds unencumbered by prejudice or expectation. There's a wonderfully off kilter feeling running through all four tracks, as the traditional tropes of techno rub up against odd textural tones and weirded out strings. A fine start to the Noise Manifesto.